Like a cat with nine lives, former congressman Mel Reynolds managed to avoid jail again Thursday, even though a Federal Judge was so exasperated that he ordered Reynolds taken into custody and even summoned marshals to his courtroom. Indeed, exasperated prosecutors declared that Reynolds, who faces federal tax charges, was “defiantly in violation" of Darrah’s order that he return to the United States from Africa March 31st. He failed to make that date, and was immediately taken into custody when his plane landed in Atlanta earlier this week. 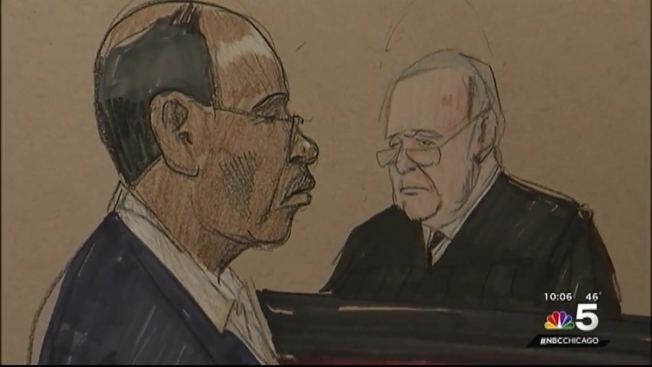 Reynolds had received court permission to travel to Africa to visit his purportedly ailing daughter. But prosecutors told the judge today they were dubious about the severity of her illness. And outraged, they said, with a new discovery that he actually had two passports. But the government lawyers countered that they had looked at the entry stamps in Reynolds passport, and that they didn’t seem to match with his travel plans. Plus, they noted, his supposedly near-bedridden daughter, had been posting on Facebook about a February trip to Berlin. Prosecutors at first asked that Reynolds be placed on electronic home confinement. But the former congressman told the judge that the family with whom he has been staying, had refused to have the equipment installed in their house. “If there is no place where Mr. Reynolds can reside, I have no choice but to revoke his bond,” the judge said. Two passports, no place to live, a sick daughter posting very healthy-looking photos on Facebook. It looked like a slam-dunk case for the government. But when all was done, Reynolds was able to stride out of the Dirksen Federal Building, past the burly marshals who were waiting to take him into custody, after defense attorney Richard Kling pleaded with the judge to give his client more time to get his life in order. “If he thought that he was a risk of fleeing, I think he would have immediately taken him into custody,” Kling said after court, where Reynolds insisted he had eventually always returned. The judge agreed to test out that theory. Reynolds is to return to court next Wednesday.